So far Speaker Nancy Pelosi and the leadership of the U.S. House Democratic majority have approached the issue of impeachment cautiously; with politics on their minds. This is understandable, but also inconsistent with their constitutional duty. The Constitution is being violated in plain sight. To protect the Constitution from this president, and future rogue presidencies, the House Judiciary Committee should wrap all the various investigations of Trump into a formal consideration of possible articles of impeachment. Now. Americans have long debated what constitutes an impeachable offense, but it is clear that the standard for unacceptable presidential conduct is very different from the standard for prosecutable criminal conduct. Those offences which proceed from the misconduct of public men, or in other words from the abuse or violation of some public trust. They are of a nature which may with peculiar propriety be denominated political, as they relate chiefly to injuries done immediately to the society itself. Because impeachment of a President is a grave step for the nation, it is predicated only upon conduct seriously incompatible with either the constitutional form and principles of our government or the proper performance of constitutional duties of the president. The emoluments clause forbids the president from accepting anything of value from foreign or state governments. Yet the president continues to profit from lobbyists and officials staying in his hotels and resorts. Worse, Trump is the first president to use his emergency powers to defy Congress and ignore the Constitution’s appropriations clause. 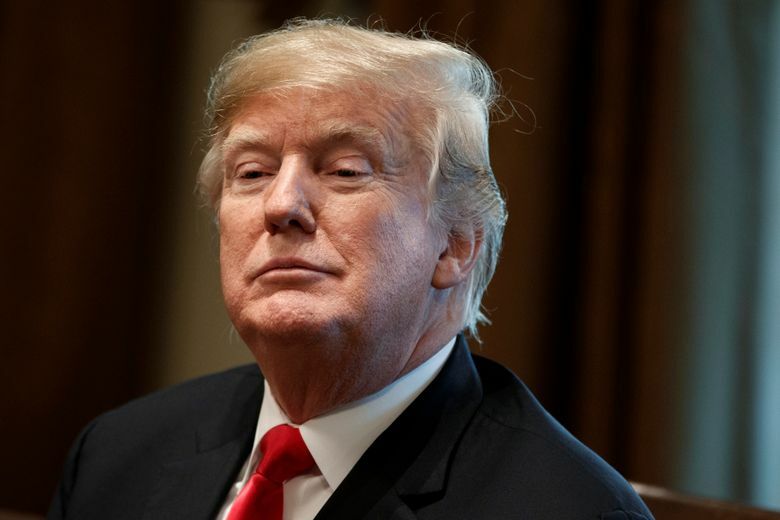 And even before his Attorney General chose to stonewall Congress and the public on the release of the Mueller report, the Brookings Institute released a remarkable report titled Presidential Obstruction of Justice: The Case of Donald J. Trump, which reads like a legal brief, and lays out the case for impeachment based on what is in the public record today about Trump’s attempts to obstruct the Russia investigation. If a president can simply declare an emergency to get his way or use the powers of his office to block an investigation of himself, we no longer live in a democracy and the Constitution has no meaning. If this isn’t impeachable conduct what would be? Trump is being sued over the emoluments clause and his emergency declaration. Congress is still investigating everything having to do with the Mueller investigation. But lawsuits and public hearings are not going to suffice. We have been told repeatedly that the president can’t be indicted while in office. Lawsuits get bogged down in narrow legal arguments. The vehicle provided by the Constitution is impeachment. Beginning formal impeachment proceedings might be the only way Congress ever gets to see the full Mueller report, as Kyle Cheney wrote for Politico. Former federal prosecutor Renato Mariotti makes a strong case that the House has the power to impeach and the executive branch can’t deny it the information it needs to exercise that power, but first they need to begin impeachment proceedings. At least the House instigated a Watergate impeachment inquiry on its own. By contrast, the House in 2019 has been waiting on Mueller before giving serious thought to an impeachment inquiry. (Admittedly, the Democratic majority is new.) When Congress outsources the work of an impeachment investigation, and when the Justice Department holds that an incumbent president can’t be indicted, the result is a system in which the executive branch can investigate but cannot prosecute, whereas the legislative branch can impeach but, at least for now, will not investigate. Whatever the Framers intended, surely it can’t be this. The House might begin hearings and ultimately decide not to impeach. Senate Republicans may vote to acquit Trump no matter what the House finds. Impeachment hearings may affect the 2020 election. So be it. What matters is the Constitution. Impeachment hearings will strengthen Congress’s hand in terms of bringing the Mueller report to light. And the House must quash the notion that this president, or any president, can brazenly defy the Constitution and assume the powers of an autocrat without there being serious consequences. Putting the country through the trauma of an impeachment should be avoided unless absolutely necessary. In this case, it is. Let’s get on with it. Chris Vance of Sumner is a former chair of the Washington State Republican Party, and a former Metropolitan King County Council member and state representative.